Home Dimensions LTD is a family run business based in Bury St. Edmunds, Suffolk, with over 25 year’s experience in windows, doors conservatories, refurbishments and building works. We offer free, honest advice and quotations without the hard sell. There is no job too big or too small. Home Dimensions LTD specialise in high quality at affordable prices to suit all your needs. All of our products come with a 10 year guarantee. All jobs are project managed by one person, so you will always be able to put a face to the name. We aim to give you a truly professional and personal service. The majority of Home Dimensions LTD Customers have heard about us through friends and families, and recommendations are the biggest testimonial for our work. We supply and install windows, doors, conservatories as well as all aspects of building works, extensions and refurbishments. 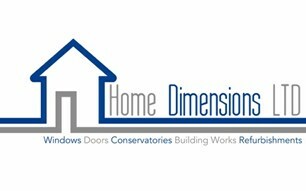 Home Dimensions LTD brings your home to life.